Cow’s milk is one of the most common causes of childhood food allergy in the United States and abroad. The World Allergy Organization, an international umbrella organization of allergy and immunology societies from around the world, calls cow’s milk allergy “a burdensome, worldwide public health problem.”1 To help resolve this issue, researchers in many countries are uncovering pieces to the food allergy puzzle and developing guidelines and recommendations for better diagnosis and treatment. Knowledge of these international guidelines, practices, and policies can be a valuable tool for American nutrition professionals working with cow’s milk allergy sufferers. The active sharing of information is growing, as are opportunities for collaboration with practitioners around the globe. Milk is the second most common food allergen not only in the United States but also in countries as diverse as Germany, Spain, Switzerland, Israel, and Japan. Failure to diagnose cow’s milk allergy can, in some cases, lead to anaphylaxis, asthma exacerbation, hypoalbuminemia, anemia, or failure to thrive and can leave infants and young children suffering needlessly from repeated episodes of diarrhea and vomiting, rashes, gastroesophageal reflux disease, constipation, colic, and inflammatory gastrointestinal conditions.1 Even with a correct diagnosis, improper treatment can prolong symptoms, lead to food aversions, or cause malnutrition. 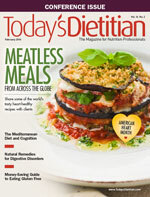 “To better understand cow’s milk allergy and other food allergies, we need to look beyond research available in the US, not only because there are areas where US research is currently lacking, but also because there’s information out there that we cannot get here,” says Sherry Coleman Collins, MS, RDN, LD, a food allergy expert. In Thailand, where dairy isn’t part of the traditional diet, the marketing of milk-containing products to pregnant women has coincided with an increase in cow’s milk allergy.3 Studying this phenomenon can give researchers insight into the role prenatal exposure plays in the development of allergies, perhaps leading to new prevention strategies. “The diagnosis and management of cow’s milk allergy has been different between countries,” says Lynn Christie, MS, RD, LD, a clinical and research dietitian in the department of pediatric allergy and immunology at Arkansas Children’s Hospital. At a time when allergies are reported to be on the rise globally, nutrition professionals have much to gain from collaborating with their international colleagues, and the opportunity for such collaboration is growing. In today’s highly connected world, international cooperation and sharing knowledge and practice guidelines can be highly beneficial to nutrition professionals and to their clients’ health and well-being. • Oral food challenge should be considered the standard reference test for diagnosing cow’s milk allergy. • Mothers of infants with cow’s milk allergy should continue breast-feeding while avoiding all dairy, and they should supplement with calcium (1,000 mg/day divided into several doses). • For infants at high risk of anaphylactic reactions, amino acid–based formula should be used. • Extensively hydrolyzed formula is recommended for infants not at high risk of anaphylaxis, but patients should be monitored carefully when the formula is introduced since 10% of infants with cow’s milk allergy may react to it. • Soy formula may be used in babies older than 6 months of age if the cost of extensively hydrolyzed formula is prohibitive, but soy formula may cause adverse reactions and a growth deficit. Soy shouldn’t be used in the first 6 months of life because of nutritional risks. • Other mammal milks aren’t recommended because of high cross-reactivity and nutritional problems. • Periodic food challenges should be done to prevent unnecessarily prolonged elimination diets. • Education is necessary to ensure nutritional adequacy and compliance. • A dietitian should help provide lists of acceptable foods and suitable substitutes. • Cow’s milk allergy elimination diets need to be formally assessed for their nutritional adequacy with regard to protein, energy, calcium, vitamin D, and other micronutrient content to avoid possible malnutrition. 1. Fiocchi A, Brozek J, Schünemann H, et al. World allergy organization (WAO) Diagnosis and Rationale for Action Against Cow’s Milk Allergy (DRACMA) guidelines. World Allergy Organ J. 2010;3(4):57-161. 2. Boyce J, Assa’ad A, Burks AW, et al. Guidelines for the diagnosis and management of food allergy in the United States: report of the NIAID-sponsored expert panel. J Allergy Clin Immunol. 2010;126(6 Suppl):S1-S58. 3. Fiocchi A, Sinn J, Yan H, et al. Current practice and recent trends in preventing and treating CMPA. Asian Pacif J Allergy Immunol. 2012;30(Suppl 4):S27-S35. 4. Venter C, Laitinen K, Vlieg-Boerstra B. Nutritional aspects in diagnosis and management of food hypersensitivity—the dietitian’s role. J Allergy (Cairo). 2012;2012:269376. doi:10.1155/2012/269376.